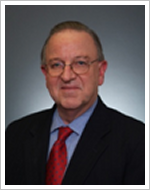 Mr. Stewart has been a CPA for almost 40 years, which has provided him with substantial operational and financial experience. A court-appointed receiver and auditor, he is the past President of the Texas Receivers’ Forum. In addition he has worked with the RTC, FDIC and FSLIC in managing and liquidating assets. Mr. Stewart is an author and national public speaker on financial matters in complex civil litigation cases. A former “Big 8″ auditor and CFO of several hundred-million-dollar organizations, he has been the owner of Stewart & Hurst and its predecessor companies for almost 25 years. During that time, he has worked with the FBI and other organizations on fraud matters. (He is a Certified Fraud Examiner and Certified in Financial Forensics). From working in numerous family law cases, he has vast experience in tracing assets that spouses have secreted from the marital estates. 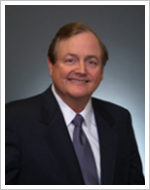 He is a former member of Texas Society of CPA’s and American Institute of CPA’s forensic and business valuation services boards. Beth Hurst is an expert in forensic accounting, business valuation, partnership disputes, business interruption, lost earnings, estate and trust finance, reasonable compensation, cross border equity returns and normalizations of earnings. Ms. Hurst has over twenty-five years of experience in financial markets with specialties in mergers and acquisition, venture capital, multinational corporate banking, bank compliance, and capital markets, over numerous economic cycles and across companies of all sizes and industries. Ms. Hurst testifies as an expert witness for all types of dispute resolution. 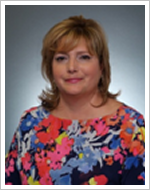 She is an Accredited Senior Appraiser by the American Society of Appraisers (ASA) and President of the Houston Chapter of the American Society of Appraisers. Her speaking engagements include topics such as valuation of businesses, discounts for lack of control and marketability as well as personal/enterprise goodwill. She speaks Mandarin and has traveled and worked extensively in Europe, North America, Asia and Africa. She excels in dynamic, challenging and fast-paced environments where a sense of urgency is critical. Mr. Anthony DeBenedictis provides expertise in forensic accounting, economic damages, lost earnings, and reasonable royalty services in complex litigation, including expert witness testimony. He provides business valuation and forensic services (tracing and characterization) in family law, estate, gift, and probate. He consults on fraud and embezzlement investigations, along with bankruptcy matters involving accounting, valuation, insolvency, and fraudulent conveyance issues. Mr. DeBenedictis’s experience with economic damages spans across industries in claims specific to breach of contract, fraud, tortious interference, patent infringement, theft of trade secrets, copyright, partnership disputes, breach of fiduciary duty, professional malpractice, business interruption, employment, Qui tam, Fair Labor Standards Act, wrongful death, personal injury, construction delay and insurance. 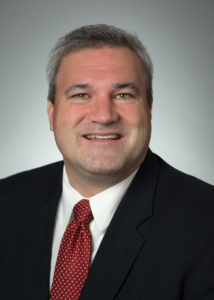 In addition to being a CPA, Mr. DeBenedictis is Accredited in Business Valuation (ABV), Certified in Financial Forensics (CFF) and is a Certified Global Management Accountant (CGMA) through the American Institute of Certified Public Accountants (AICPA). He is a Certified Fraud Examiner (CFE) having served as President of the Houston Chapter of the Association of Certified Fraud Examiners (ACFE). Mr. Burda was born and raised in the Republic of Panama and received his primary and secondary education there. He graduated from St. Edward’s University in Austin, Texas in 1970 with a BBA in Accounting. He has dual citizenship (U.S.A. and Panama) and is fluent in both the English and Spanish languages. His professional career began with Peat, Marwick, Mitchell & Co. (now known as KPMG) becoming a CPA and working in the banking division performing auditing and advisory services as a Senior Accountant. He also worked for a local Houston, Texas CPA firm and subsequently became part owner and operator of a restaurant franchise having two locations in Houston. Thereafter, he became chief financial officer of a five bank holding company serving on the board of directors, loan committees and investment committees of three of the banks. For more than twenty years has now been almost exclusively involved in the area of forensic accounting with several firms and has assisted in both the plaintiff and defense sides of litigation involving publicly traded company shareholder suits, in audit and/or accounting failure civil litigation primarily in financial institutions, and in economic liability and damages cases. Since December, 2007 Mr. Burda has been employed at William B. Stewart, Jr. CPA performing forensic services in the family law arena, in civil litigation involving damages or liability issues and in fraud investigations. Mrs. Hutchings has over 20 years of accounting experience. Her focus for the past several years has been in the area of forensic accounting. She works on civil and family law litigation matters, providing asset tracing, inventory preparation, document management and review services. In addition, she provides support services to our Business Valuation department. Mrs. Hutchings holds a BBA in Marketing and is a CPA Exam Candidate. 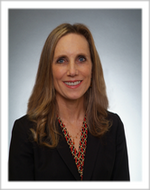 Ms. Wood has over twenty-five years of financial experience. She was in the banking industry for 16 years and specialized in business development, credit analysis, documentation, servicing and auditing. She has performed credit analysis of various industries with a primary focus in energy, oil & gas, manufacturing, retail, and banking. For the past nine years, she has worked in forensic accounting, tracing assets and preparing business valuations. Mrs. Perry is a CPA with over ten years of accounting experience and is a member of the Texas Society of CPA’s. She has worked in the Oil & Gas and Financial industries. During this time, she developed proficiency as a liaison for external audit and verified corporate compliance in the reporting of cash and other assets. She also specializes in the areas of financial statement review and variance analysis. She has conducted detailed reviews of F/S to identify areas of inconsistencies, misstatements and fraud.